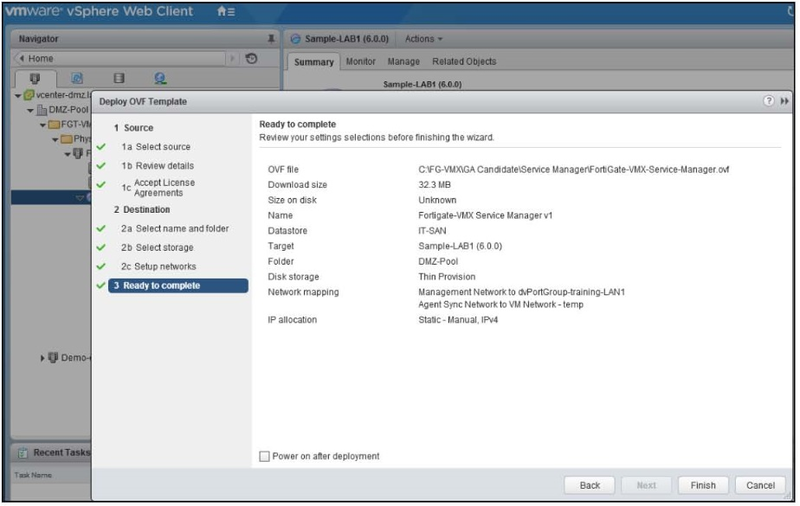 Using VMware's vSphere Web Client, select the desired virtual instance. 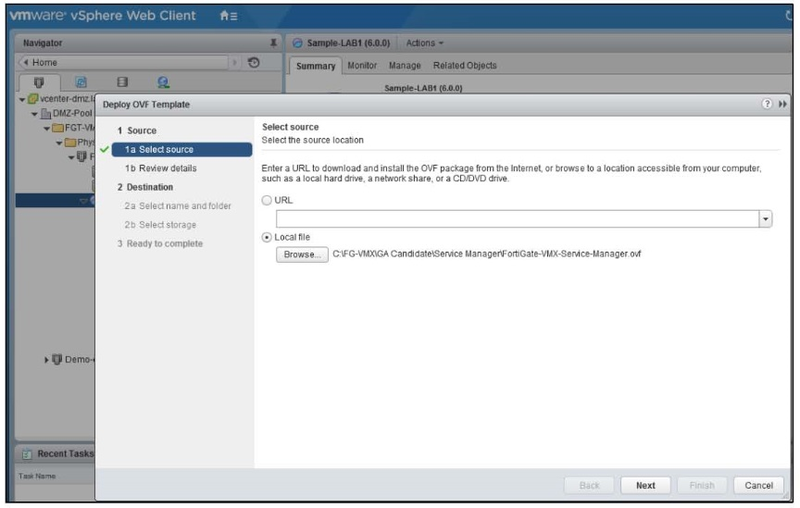 Right-click and select Deploy OVF Template. 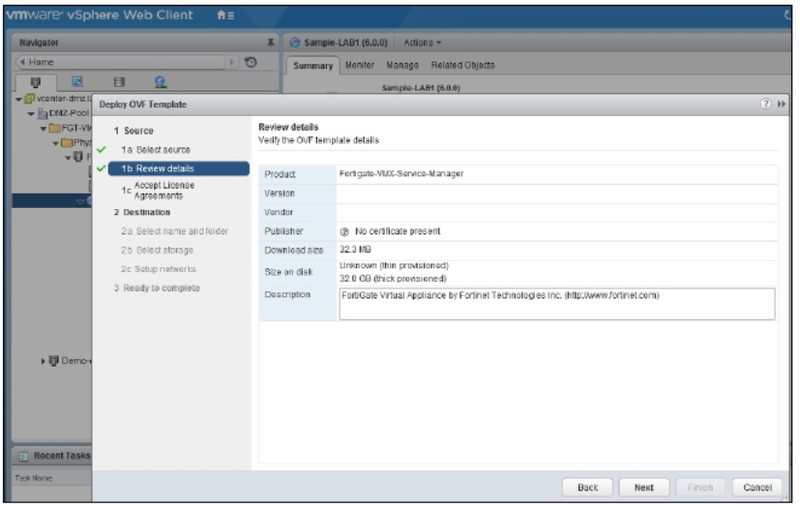 Select Local File and browse to the FortiGate-VMX-Service-Manager.ovf file. Click Next. Review the information about the OVF file's location to ensure it is correct. Click Next. 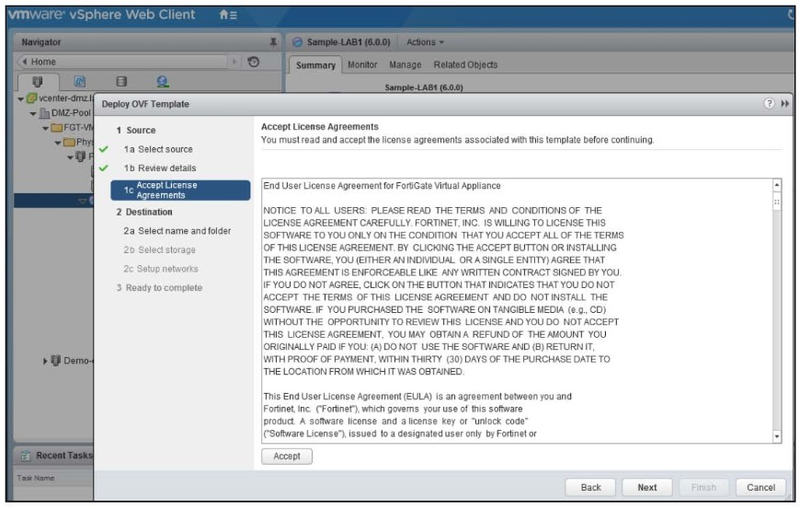 Accept the EULA, then click Next. In the Name field, enter the instance name. Select a location to place the instance. Click Next. 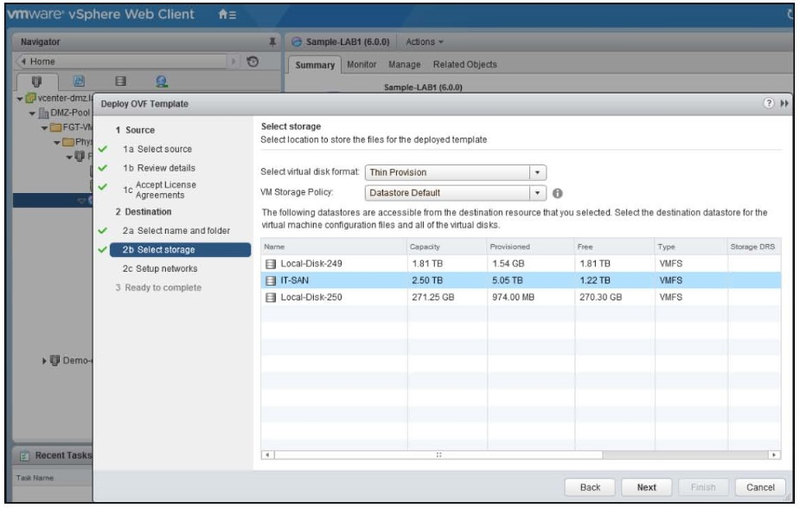 From the dropdown lists, select the virtual disk format and VM storage policy. 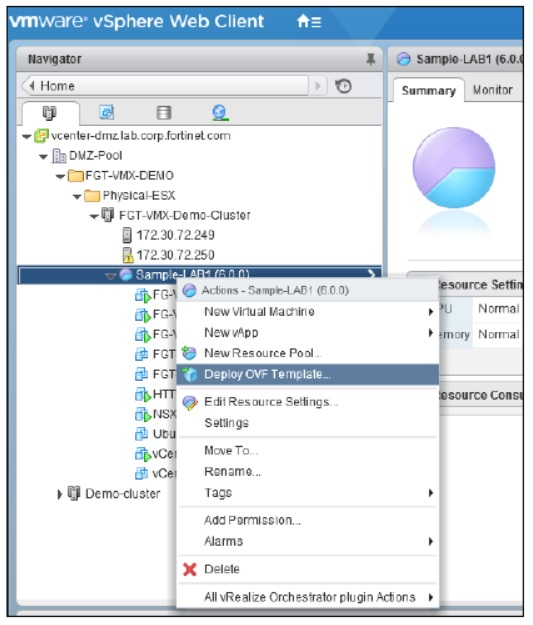 Select the destination datastore from the list of available datastores. Click Next. 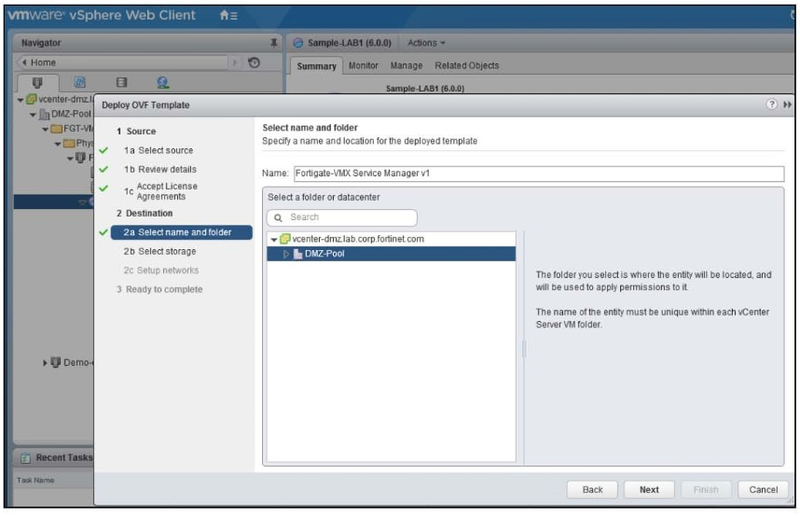 Select a management network that the deployed template should use. 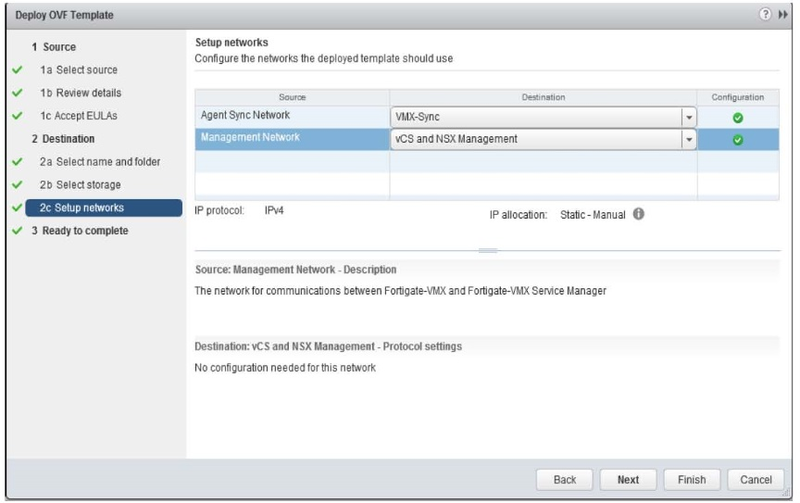 This will be the network used to communicate between the FortiGate-VMX SVM and the VMware components as well as connecting to the FortiGate-VMX SVM web interface or other management communications. Select an agent sync network that the deployed template should use. This will be the network used for all communications between the FortiGate-VMX SVM and FortiGate-VMX security node instances. It is recommended that this be a closed network with only FortiGate-VMX components connected to it. Click Next. Review the settings to ensure they are correct. Click Finish.